The independence that sports can bring to people with disabilities is something that is explored in a documentary about a wheelchair basketball team that will be shown in Rochester this week. It’s called The Rebound, and it will be shown Wednesday evening at The Little Theatre, followed by a discussion afterward including a Skype interview with the film’s director. WXXI and the Al Sigl Community of Agencies are partnering for this free screening. The film follows the underdog journey of the “Miami Heat Wheels “ wheelchair basketball team. There has been a Rochester wheelchair basketball team for a number of years, and the current coach of the "Rochester Wheels", Xavier Major, notes that even when his team plays against competitors, they all share a common bond. “We’ve all kind of encouraged each other and learned from each other and because of our disabilities and the time that we’ve been disabled, we’ve kind of seen each other over the years and have made good friends locally and away,” Major told WXXI News. 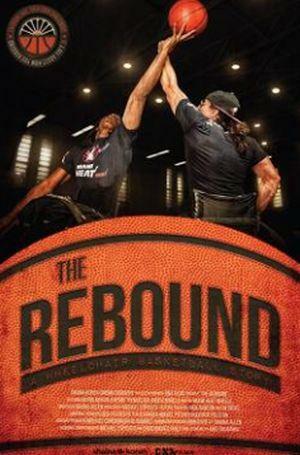 The Rebound will be shown on Wednesday evening starting at 6:30. It will be followed by a panel discussion that includes Xavier Major and a Skype interview with the film's director, Shania Allen. This story is part of Dialogue on Disability Week.